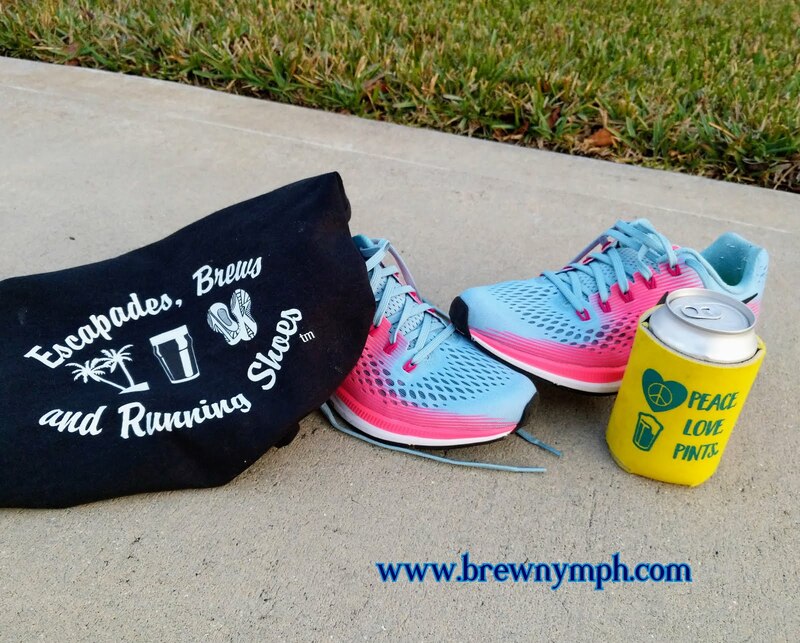 When most people think of a "Session" beer, the one that probably comes to mind first is the "Session IPA," that lower-ABV cousin of the "standard" IPA, designed to give hopheads their dose of hops without the higher alcohol content. 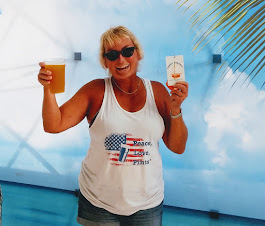 Historically, the term "session" is used to describe beers that are lighter in terms of flavor and ABV: designed to drink a number of them in a "session" while still allowing the patron to function afterwards (OK, that's debatable depending on how many you ingest). The 2015 BJCP Guidelines indicate three "strength classifications" of IPA, one of which is the "Session" strength at 3-5% ABV. 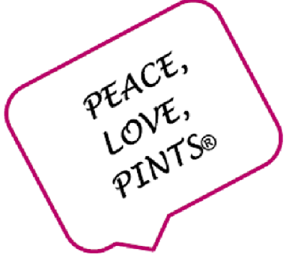 Randy Mosher, author of Tasting Beer, refers to several lighter ales and hybrids as "session" beers: "meant to be drunk in reasonably large quantities in the company of other beer lovers." Attendees at this year's Beer Bloggers & Writers Conference ("BBC17"), held at the historic Best Place at Pabst in Milwaukee August 4-6, experienced two full days of presentations, talks and discussions about the beer industry, Milwaukee beer history and current local breweries, and social media strategies. The Conference also included visits to several local breweries, lunches and dinners. ... Which brings us to the focus of this article: several of the sessions included beer evaluations and tastings -- possibly giving a new meaning to "session" beers! On Friday afternoon, Randy Mosher discussed identifying and describing flavor, smell and color in beers. To do this, it is necessary to have beer! And, not your everyday "session" beers, mind you, but beers from Stone Brewing. OK, here we go! 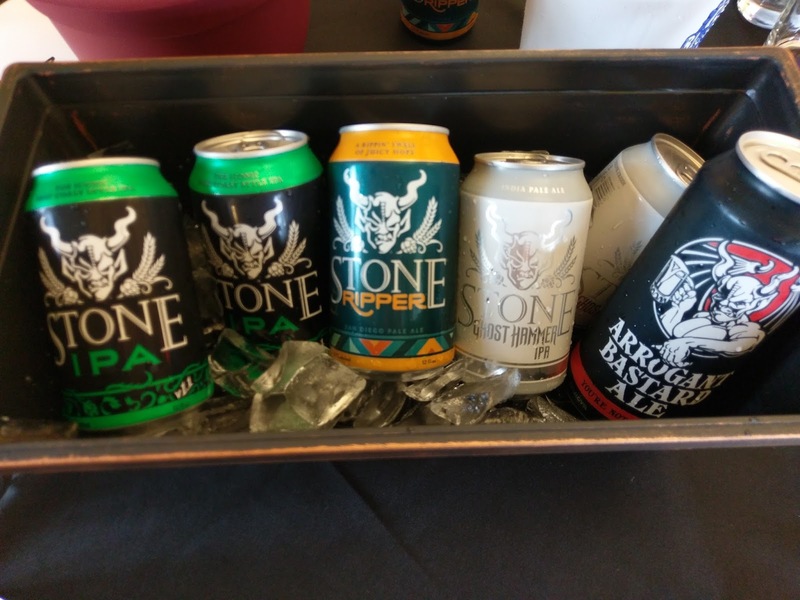 Uh, yeah, beers for the tasting session! 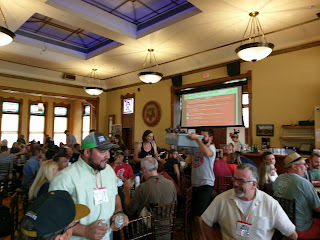 As the beers circulated around the tables, Randy asked everyone to consider aroma, taste, mouthfeel, and flavor, combining sensory experiences. 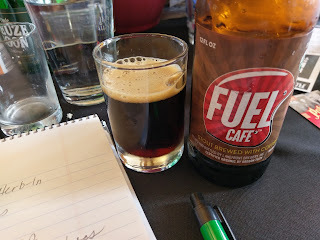 From the tabletop aroma before it even is lifted toward your mouth and nose, to a casual aroma, to a gentle sniff, your senses receive a perception of the beer. 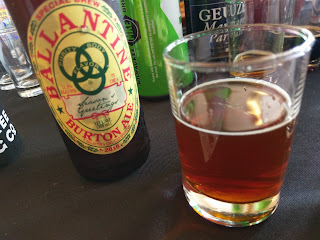 Once the beer actually reaches your tongue and mouth, consider whether the beer is sweet, malty, bitter and what's in the beginning, middle and end. Does the beer finish clean without astringency? Try the "retronasal" method: after sipping, keep your mouth closed and breathe through your nose: you'll pick up even more tastes! So, impress your friends by mentioning "retronasal" next time you're acting like a beer expert. Some descriptors come from "sensations" rather than "senses." 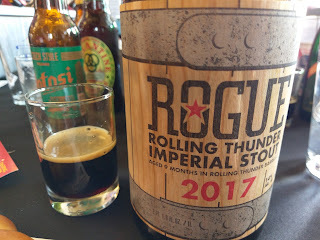 Sometimes you need to taste beers more than once. Some of the words used to describe these beers: resiny, dank, grapefuit, citrusy, burnt, dark fruit, dry, bitter, roasty, floral. How about Italian? The Saison duBuff featured Italian seasonings. 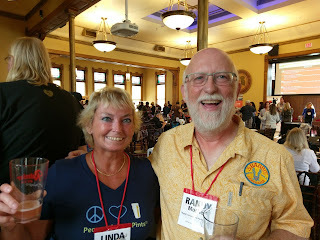 And, it was especially exciting for me to talk with Randy later in the afternoon during the Beer Expo session. I had first met Randy two years ago at the 2015 GABF, after having passed the Certified Cicerone® exam. He signed my copy of Tasting Beer at the time. Although I didn't bring my book to BBC17, it was pretty cool to get another photo with the guy who "wrote the book!" 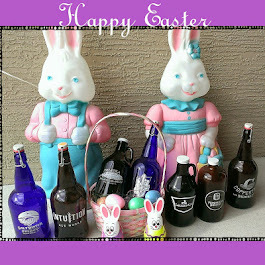 So, like I said, a new meaning to "session" beers! 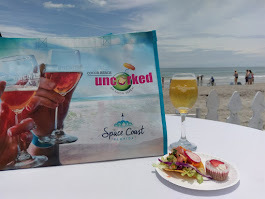 And, speaking of the Beer Expo, that's another session where vendors have an opportunity to reach attendees about travel, products and services. 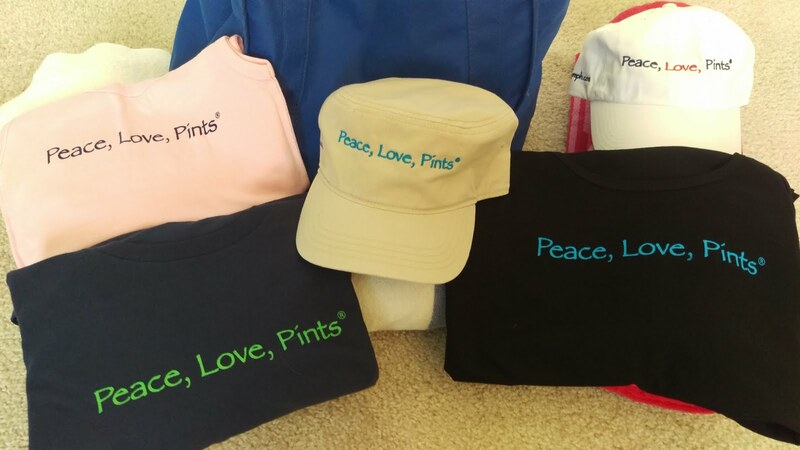 Yes, there's even beer! A number of local and regional breweries poured samples of their beer, including 5 Rabbit, Weldwerks, Rogue, Stone, Deschutes, Founders, and Milwaukee locals Lakefront Brewery, Third Space Brewing, and Good City Brewing. 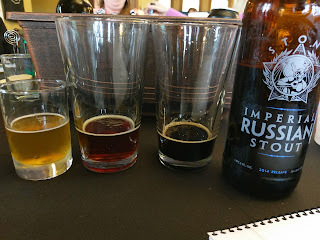 Two Saturday afternoon sessions provided more opportunities for beer tasting! 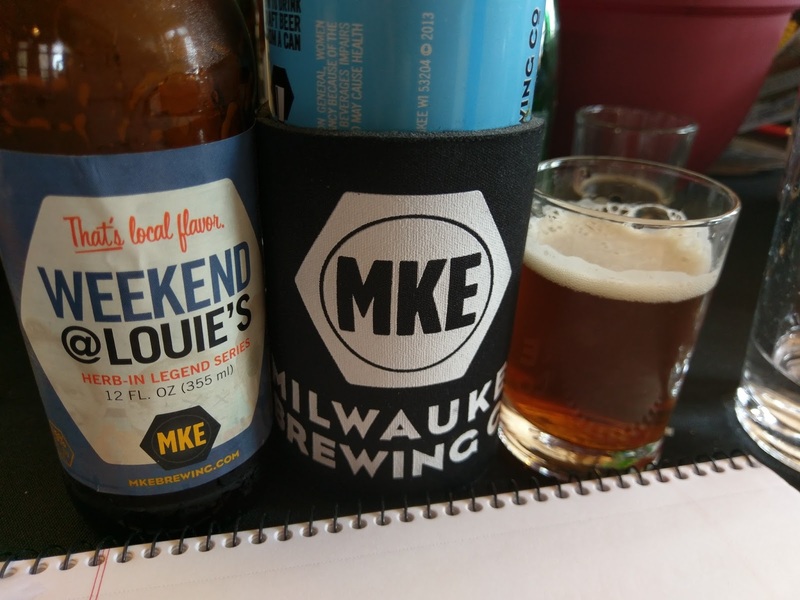 (Keep in mind that these occurred after a visit to Milwaukee Brewing, where there was more beer with lunch.) 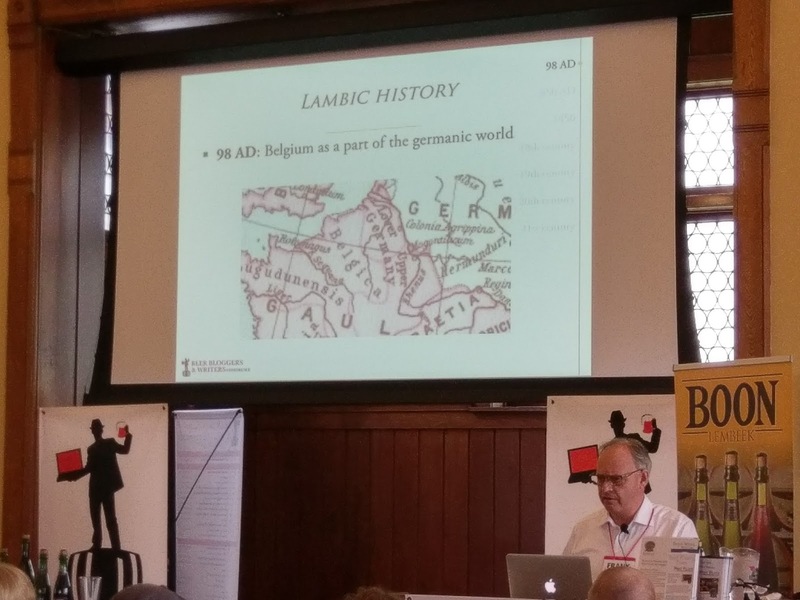 Frank Boon of Belgium's Brouwerij Boon led a presentation about Lambics and spontaneous fermentation. 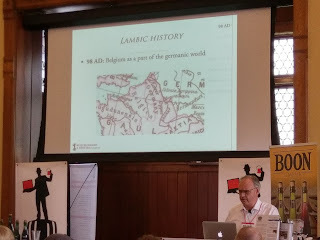 Armed with a number of slides about the history and production of Lambic, the talk was informative and also somewhat humorous. And, there's something about that Belgian accent. 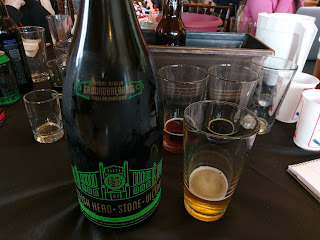 Bottles began appearing on the tables. 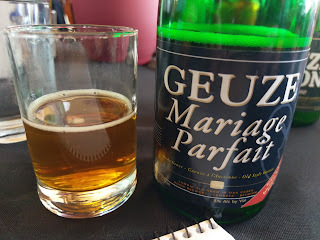 Lambics, traditionally uncarbonated, are generally sour beers, often with the "wild" or funky tastes resulting from the spontaneous fermentation with wild organisims. Gueuze beers are produced by mixing young Lambic with those two or three years old. 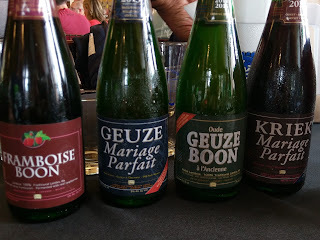 Gueuze and Fruit Lambics are generally carbonated and effervescent and are tart with sour characters. I have to admit I was skeptical of these, but I found that I enjoyed them very much. 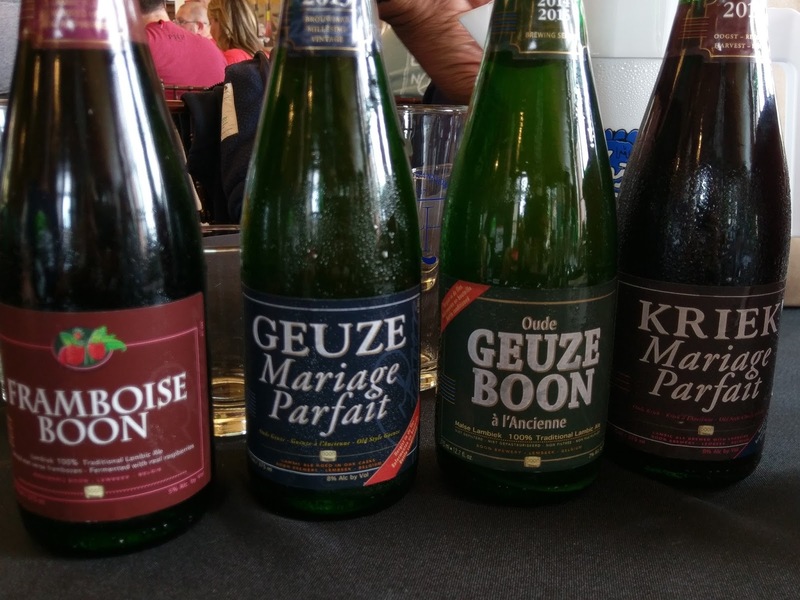 The Geuze Boon is fruity, champagne-like, dry and bubbly, with a vanilla oakiness character. The Framboise Boon (uncarbonated) has a pronounced raspberry flavor that was a delight to drink. As the name suggests, the Kriek Mariage Parfait tastes of sour cherry with a dry, champagne character. Very educational! 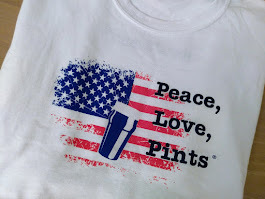 ... it's time for Live Beer Blogging! Nothing like starting off the insanity with an 11.3 ABV Ballantine Burton Ale! Wisconsin brewery Potosi Brewery is a not-for-profit brewery in Potosi. 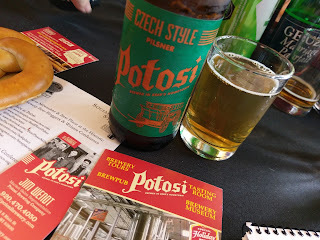 Its Czech-style Pils is crisp! 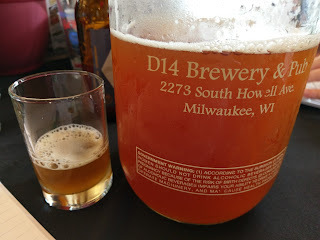 Up next was Third Space Brewing (Milwaukee). 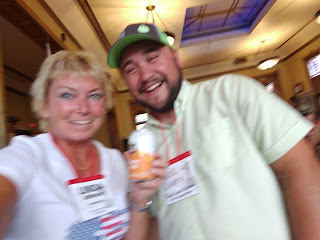 I had met Nick Cusatis, the brewery rep the day before at the Beer Expo session. The name is a tribute to your "third space" after home and work. The beers are solid. This, the Happy Place Pale Ale, more on the malty side. The Live Beer Blogging in intense; even the camera couldn't hold still. Time for another "big beer:" Rogue Rolling Thunder Imperial Stout, at 14 ABV, aged for 9 months in Rolling Thunder Barrels; licorice and strong. Westallion Brewing poured its Six Points Ale with Licorice Roots, a sub-5 ABV brown ale using German malts with licorice and botanicals. 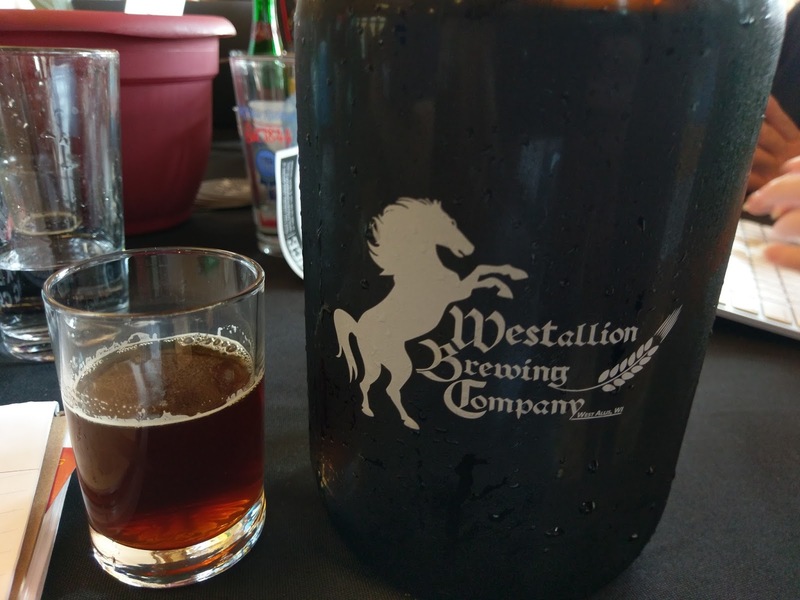 The five-barrel brewery is located in nearby West Allis, and the name combines the town with a stallion. Milwaukee Brewing is currently building a massive brewery and tap room in the Pabst area. BBC17 attendees had visited the site for lunch, a tour, and beer sampling just a couple of hours earlier (more on that later). Here they were again with Weekend at Louie's, a blueberry and tea version of their amber ale, Louie's Demise. 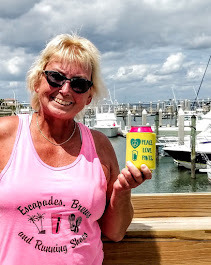 There's still a Cream Ale in the koozie from lunch, too! District 14 Brewing, from the Bayview area of Milwaukee served up a Chardonnay Barrel Aged Pomegranate Sour, with wood notes and a wine character. Yes, it's sour! 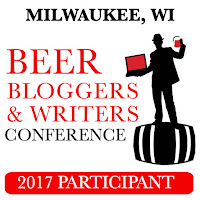 So many Milwaukee breweries! Lakefront Brewery (Milwaukee) made two trips around the room. Its Fuel Cafe Stout with Coffee is organic and has a strong coffee taste along with a hint of peppers. Its Clutch Cargo DIPA (8.8 ABV) is fruity and citrusy with flavors of grapefruit and mango. There's a hop bite with an aftertaste, to complement the malt. And, it helps when you get a little crazy with the owner. 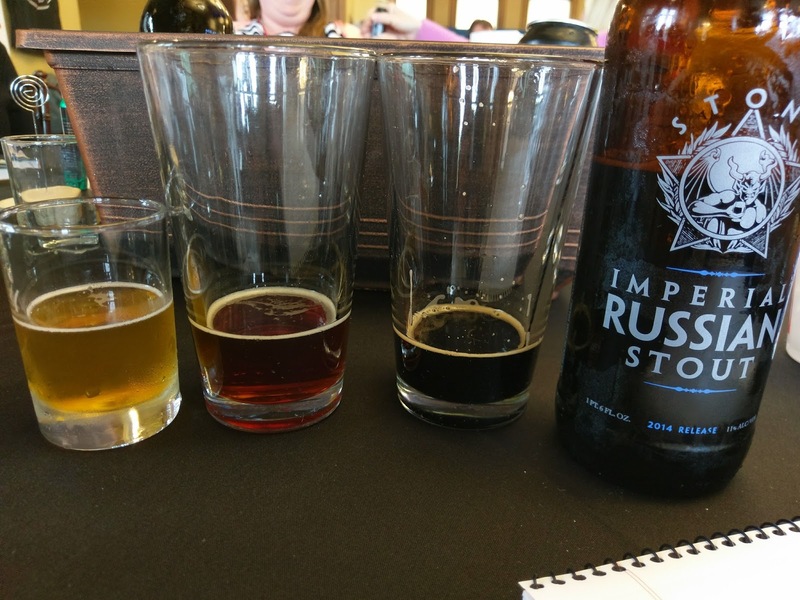 The beer tasting sessions at BBC17 -- not your typical "session" beers! 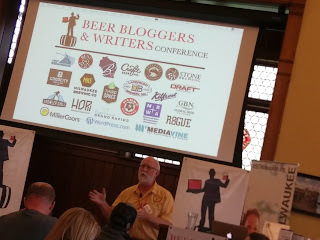 This was my second time attending the Beer Bloggers & Writers Conference, with BBC 2016 in Tampa being the first (see last year's stories on brewnymph.com). 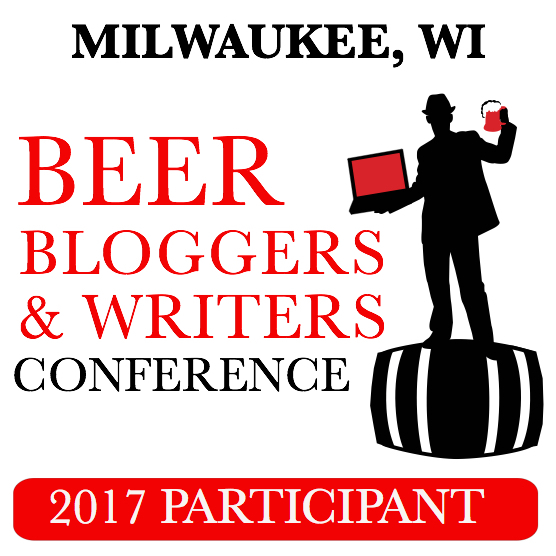 Last year, when the Conference announced Milwaukee as the 2017 venue, I knew I had to be there! Having lived in the Chicago/Northwest Indiana area up until six years ago, I visited Milwaukee many times, including annual visits to the Summerfest music and beer fest on the lake. It was great to see Milwaukee again! 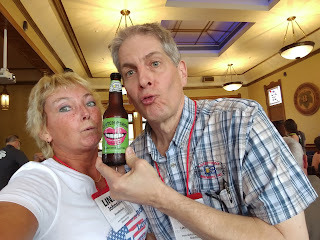 There was so much more to BBC17: informative presentations, more brewery visits, a historical host venue in the Best Place at Pabst, visit to the Miller Brewing complex. I had visited Pabst and Miller a number of times while living in the Midwest. While this story focuses on the beer tasting sessions, a follow-up story will run through the presentations and brewery visits, along with some nostalgia! Thanks to Beer Bloggers & Writers Conference for another amazing event!